It is now just over three years since I wrote about an album very similar to this one. Although TV-promoted (it was on Telstar, in association with CBS, rather than Arcade, with the "20 Original Hits" banner still present), the sequencing is different and five tracks appear that weren’t there before. Of these, the only important one is “Love Hurts” where Orbison numbly itemises over Morse code staccato brass the ways in which a fundamental misunderstanding of “love” can destroy even the strongest Texan oil rigger; “Mean Woman Blues,” once a double A-side with “Blue Bayou,” proves that uptempo ooby-dooby rocking was for him simply out of character, and I do not believe that the listless Platters and Everlys covers add anything to the underlying dream of a story. Otherwise, like its Arcadian predecessor, it’s Monument all the way; anybody looking for the MGM sides (“Too Soon To Know,” “There Won’t Be Many Coming Home,” “Southbound Jericho Parkway”) will need to look expensively elsewhere. 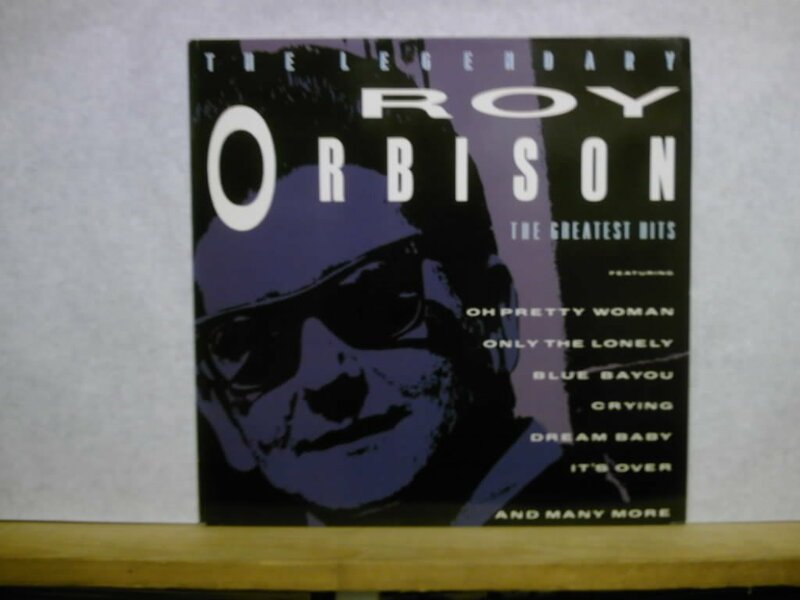 The major difference between early 1976 and early 1989 was, of course, that Orbison had died (although this album was packaged and already selling before his death). Some say that the sudden pressures inspired by his equally sudden comeback were to blame, although he had had serious heart trouble going back to 1977 and, with endless smoking and touring, did himself no favours. There did emerge a “new” posthumous album, Mystery Girl, which in Britain was held at number two by entry #380 and whose critical praise was, I think, mainly driven by sentimentality. It was merely among the early attempts by smugly moneyed babyboomer rock types to treat old musicians like their caddy. Hence “You Got It” is an ELO record, “She’s A Mystery To Me” is a U2 song, and all I hear are gestures to the past without commitment to back them up. Orbison sings these songs as though he already knows that he is a memory. For somebody whose dreamed world was perhaps more thoroughly self-contained than anybody else in pop – more so even than Elvis or Jerry Lee, just to stick to old Sun labelmates - things like “In The Real World” and “(AII I Can Do Is) Dream You” are empty pastiches. Worse, Elvis Costello’s “The Comedians” seems to revel in its wish to laugh at Orbison, improbably stuck up there all night on the Ferris wheel; it sounds like Weird Al Yankovic sending up the Big O. The hits themselves don’t sound any less great than they did in 1976, but their impact in this setting is less marked. We are almost done with the eighties, and yet (once again I reiterate: through no fault of his own) here we have a Cliff Richard compilation followed by a Roy Orbison compilation. At the same time, Gene Pitney is heading for the only British number one single of his career. The eyes are slowly being swivelled back to the past – and unlike 1976, there would seem to be no return this time around. In memory of Harry Barry, who died in his sleep of an aneurysm in February 2013, much too young; I don’t know whether he ever got to read my original piece on Orbison, but I tried my best to be as fresh and strong as Orbison’s great records were, and are. And you succeeded (in the 'Best of Roy Orbison' piece in 2012). I can recall "There Won't Be Many Coming Home" getting played once by Dale Winton, round about 2006 - definitely felt (in the usual POTP context at least) like a secret, forbidden history and one that I was quite pleased had been visited, for once.